If you’ve signed up for a new gym, congratulations! Anything that gets you up and moving is a success in our book. With that said, make sure that you are doing your best to avoid making enemies your first week in the gym. 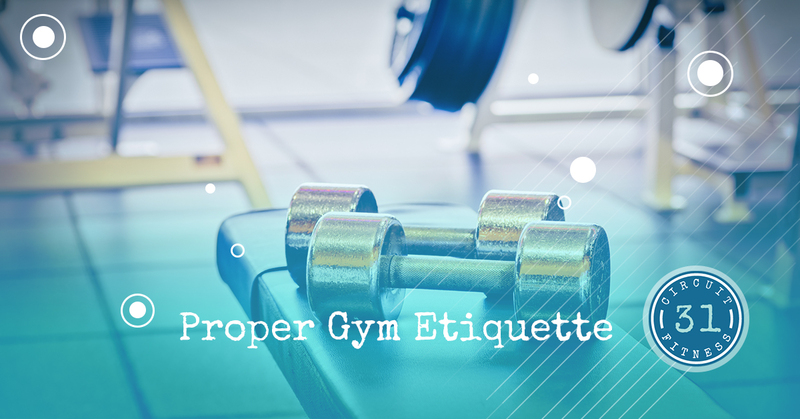 Here are some of the top ways to remain courteous to the other gym-goers around you when working up a sweat. Anyone wearing headphones is likely not wanting to socialize. Don’t take this personally; for many people, the gym is their time to be alone and just enjoy their workout. If you are looking for new friends or people to talk to, we are sure you’ll find some! Just choose to approach those who are not wearing headphones. Wiping down your machine before and after you use it is the number one way to prevent the spread of germs. We go to the gym to get healthier, not to catch a common cold! Wiping down your equipment after you use it isn’t just polite; it’s the best way to keep others healthy. Also, when you are done with your equipment, please put it back! The employees don’t love trying to put things away, and the other gym goers will be frustrated if they can’t find the weights in their designated space. The mirrors in the gym were designed to help people mind their form. They are not there for you to check your hair and how big your arms are. Looking at yourself every once in a while is fine, but make sure that you aren’t getting in the way of someone who is trying to ensure that they are lifting safely. Gyms can get pretty busy. If you are doing a circuit with five different activities and machines, make sure to let others use your equipment as soon as you are finished. You can rotate in and out of different machines in order to minimize the time it takes to complete your lifting session. Make sure to pack fresh, clean clothes when going to the gym to avoid smelling up the area. Even if you don’t notice the smell, everyone else sure can! Also, wear loose, comfortable clothing that will keep you cool and that will work just fine in an athletic environment. Jeans do not count as proper fitness attire! Put on your deodorant, brush your teeth, and use fresh socks when you come to the gym. Each of these will keep you smelling your best and avoid complaints from other gym-goers. When in doubt, pack your gym bag with some hygiene essentials. Perhaps choose a sweat towel to keep yourself from dripping, your deodorant, and an extra pair of socks, just in case. While the gym may not be the most exciting place to be at all times, you can make it more enjoyable for you and those around you by being kind to others and remaining positive. You don’t need to greet everyone with a “hello,” but staying upbeat and energized is a sure way to feel more motivated in the gym. If you don’t know how to use something, that’s okay! Feel free to ask an employee for help. We would be happy to guide you on the best practices when trying out the equipment. We add this to our etiquette list because we want you to know that we encourage questions. Using equipment the wrong way could damage the equipment itself, or even cause injury to you. Contact Us at Circuit 31 Fitness! Circuit 31 Fitness is proud to be Allen’s premier choice when it comes to finding the perfect fitness center. We know that most people lead busy lives, and it’s easy to put fitness on the backburner while the rest of life demands our attention. That’s why we created a circuit training-based gym! We want to be able to get our clients in and out the door in 31 minutes, as well as leave them feeling like they just got the workout of a lifetime. If you have an interest in changing your body and your life for the better, it’s time to give our team a call.